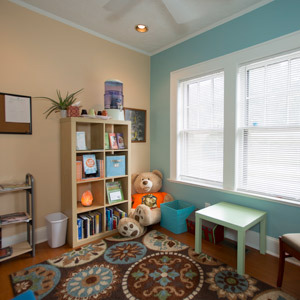 Expression Chiropractic is a warm, welcoming and relaxing place. We offer a casual environment that puts you right at ease. We don’t focus on seeing a high volume of people; rather, we take our time to understand your needs and what’s appropriate for you at each visit. 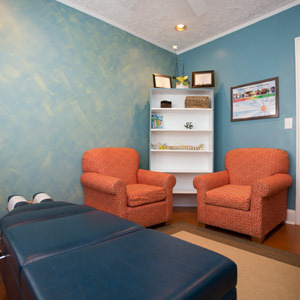 When you contact us initially, we’ll book your first two appointments right away, each an hour long. Please bring any x-rays, imaging or radiology reports you may have in with you. You can fill out the necessary paperwork by downloading it from our website and bring it in completed. 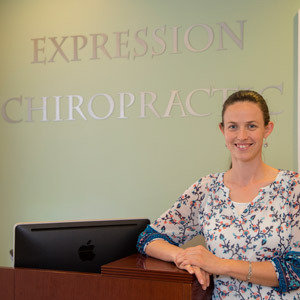 When you arrive, you’ll meet one of your chiropractors, Dr. James or Dr. Kate, who will give your a tour of the office and take you back to an examination room. We’ll discuss your diet, exercise and what your lifestyle is like and how it may be impacting your health. A chiropractic examination will be performed. 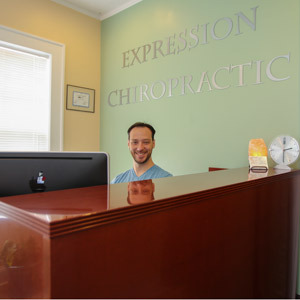 At your next appointment, your chiropractor will take time to explain the results of your examination and how care in our office works. You’ll get our best recommendations for moving forward, and we’ll discuss pricing options. 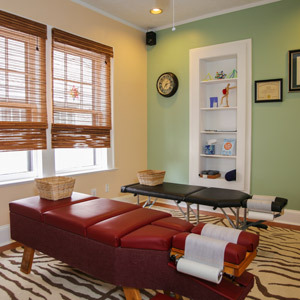 Before receiving your first adjustment, we’ll take our time to explain what’s going to happen and the types of adjusting we use. You’ll feel confident moving forward. You’ll be in and out in about 20 minutes at your next appointments. 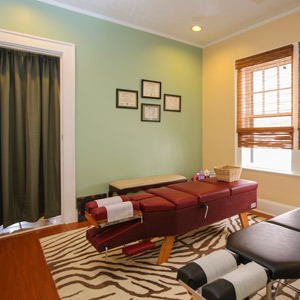 You can even book one time for your entire family to be adjusted together. As we progress, Dr. Kate and Dr. James will discuss stretching or exercises that can help your healing process. We also have a Wellness Consultation that you can book at your second progress exam. During this time, we’ll discuss if there are areas of your life such as exercise, nutrition or stress reduction where you need supporting and coaching with recommendations on how to live a healthier lifestyle. We let you choose how to benefit from chiropractic care. If you want short-term intervention because you’re in pain, that’s fine. Often, people find that there are numerous advantages of long-term care. We’ll talk to you about them, but the decision to continue seeing us is always up to you. Discover what we can do for you during a free consultation. Contact us to book your time!